We build better entrepreneurs who build better companies. Many programs focus on building better businesses, giving advice and consulting to help make the company stronger and more successful. VMSA Mentors support the individual entrepreneur. We ask "what's keeping you up at night?" and dive into sorting through noise and distractions to address the challenges and opportunities entrepreneurs face. We are a volunteer organization that provides objective, conflict-free guidance to entrepreneurs. 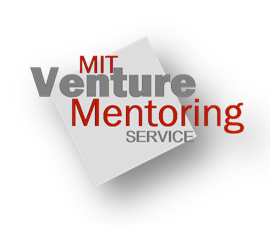 Based on the MIT VMS Model; each entrepreneur is matched with a team of mentors, which gives a more in-depth experience than traditional 1:1 relationships. Following the MIT VMS Model, we adhere to a strict code of ethics, providing unbiased coaching to entrepreneurs in southern Alberta. Entrepreneurs don’t always know who they’re talking to and what to expect. At VMSA we aim to build relationships based on trust. Or as one of our mentors like to say "we become a board of consciousness". COACH: guides, asks questions and focuses on helping the individual achieve their highest potential. Coaches can be paid consultants or a free service (VMSA). ADVISOR: provides direction and sometimes instruction around specific business challenges, often within a defined scope of work. Advisors can be paid consultants or not, one off meetings or long term engagements. MENTOR: is a title earned through building a relationship of openness and trust with an individual. All our volunteers have earned this title. Mentor is not a paid position, ensuring there is absolutely no conflict of interest present in the relationship. VMSA is free to the entrepreneur. VMSA mentors have been there. Is your business growing fast? Are you based in southern Alberta? If the answer is yes to both, get in touch with us or send in your application. With special thanks to the Calgary Innovation Coalition. The Venture Mentoring Service of Alberta is based in Calgary, Alberta, Canada. If you have questions about the program please contact us.